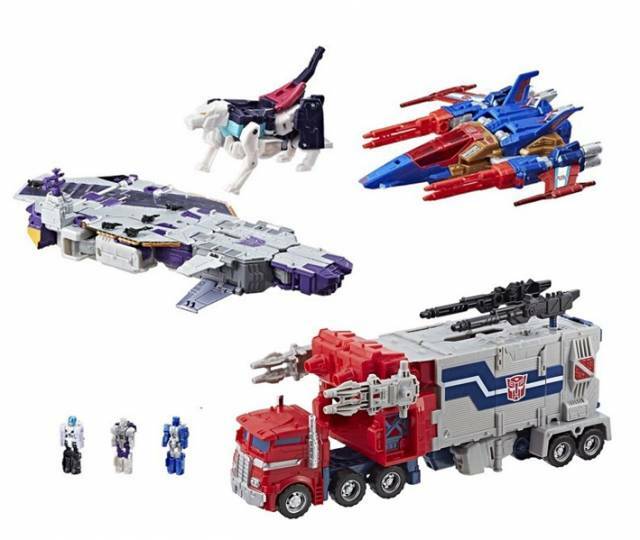 Transformers Siege on Cybertron boxed set brings together 5 legendary Autobot and Decepticon warriors into one boxed set! 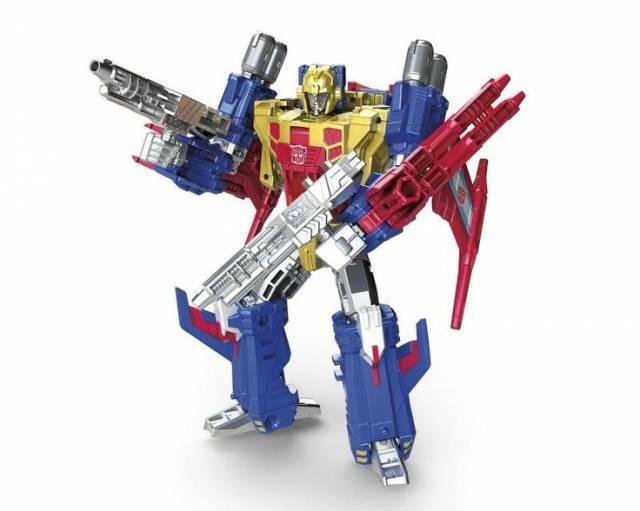 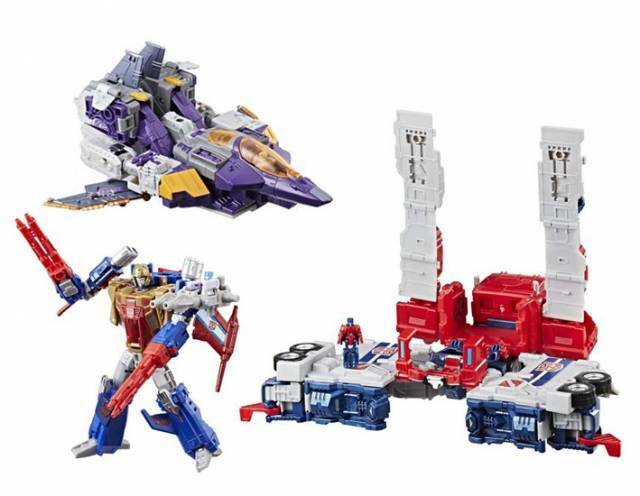 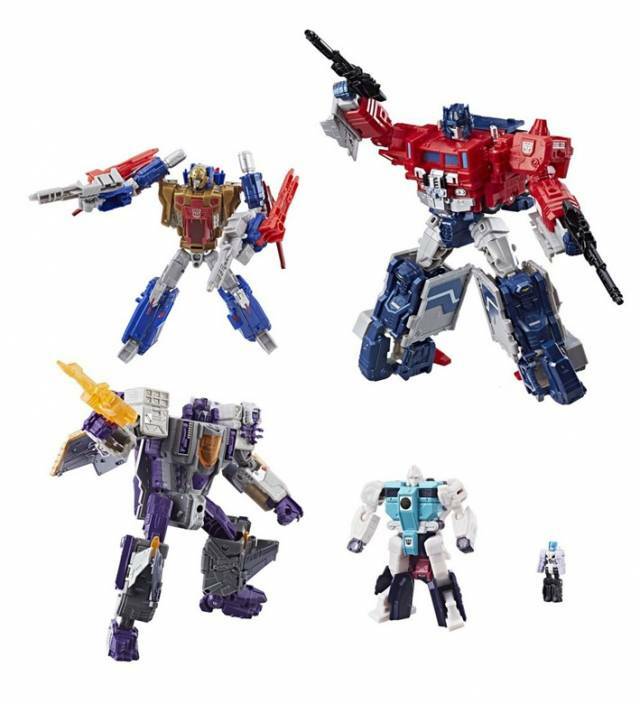 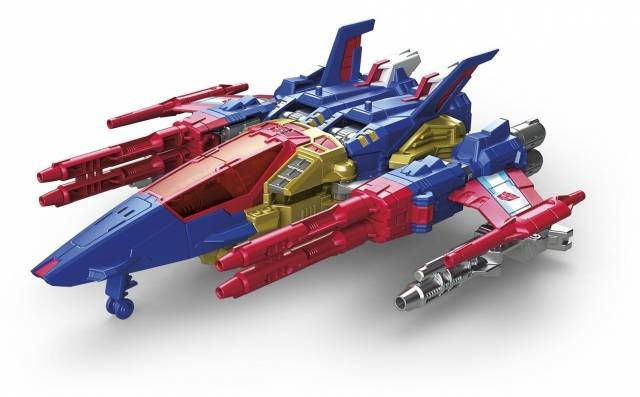 Included in this set is 1 Leader Class Magnus Prime Figure, 1 Voyager Class Tidalwave Figure, 1 Deluxe Class metalhawk Figure, 1 Legends Class Decepticon Pounce figure, 1 Titanmaster Thunderwing Figure. 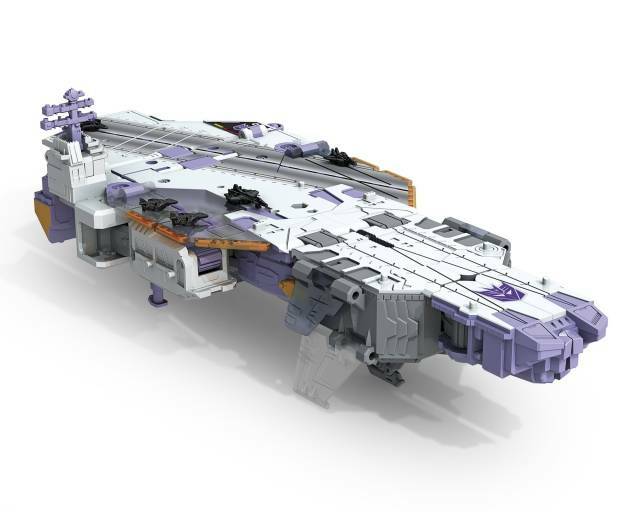 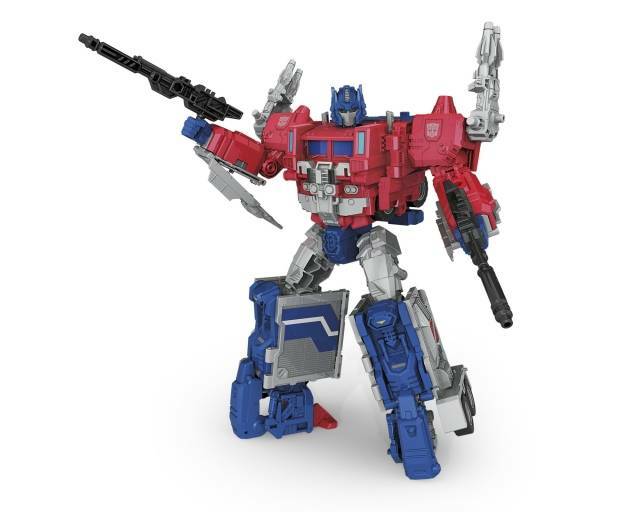 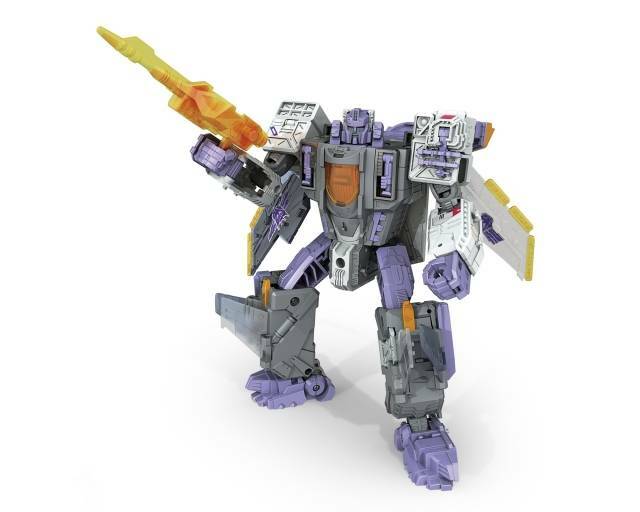 Together the decepticons lay siege to Cybertron and only the Autobots can stop them with the guidance of Magnus Prime! 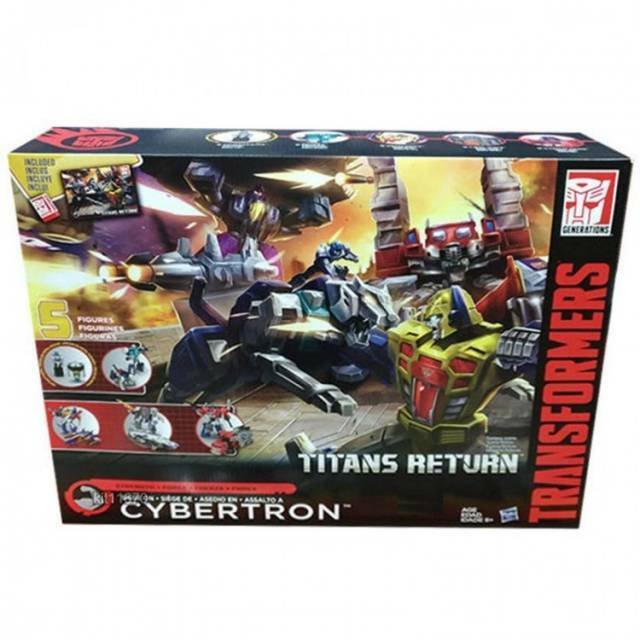 Box condition as-is, worn due to oversized packaging on this toy and poor shipping cartons with single thin wall corrugate. 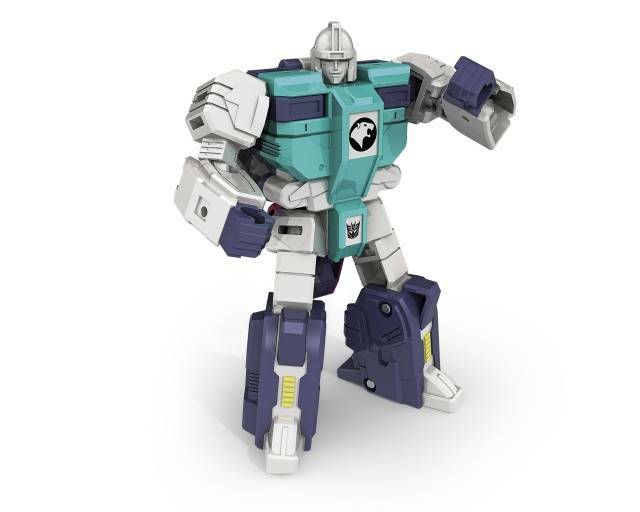 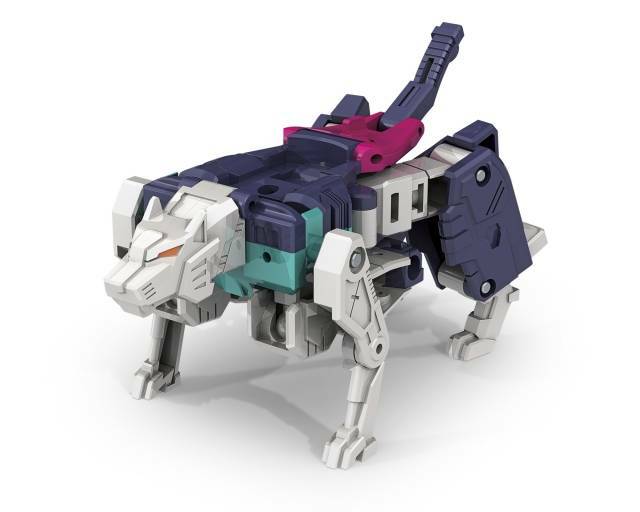 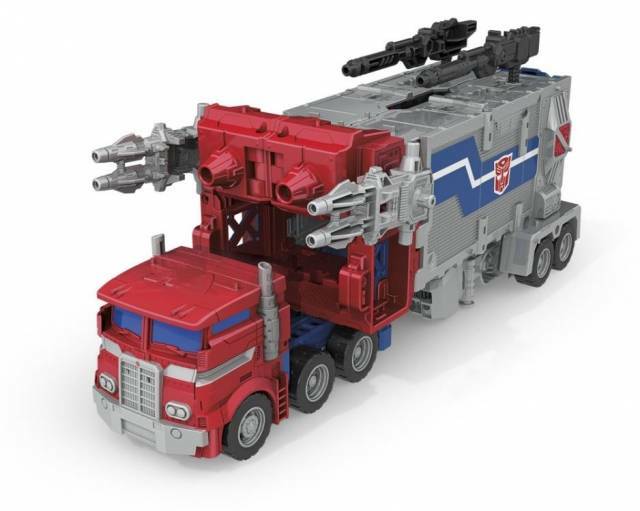 TFSource cannot guarantee a mint/C9 condition packaging/box with purchase due to this.